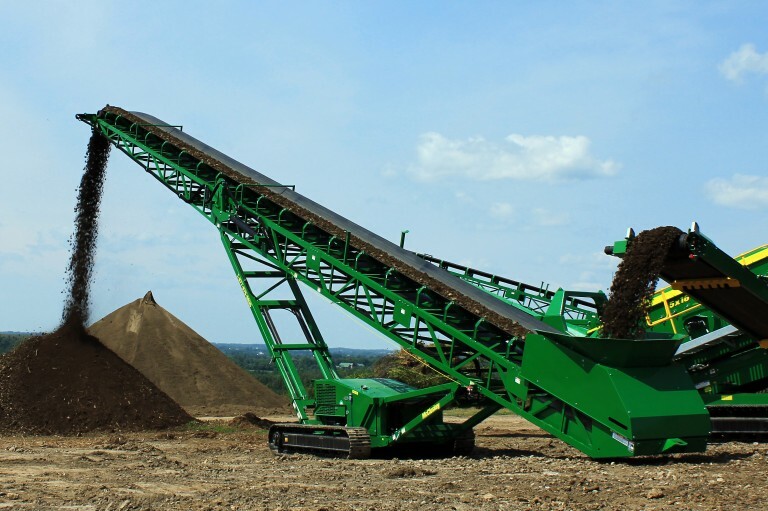 The McCloskey ST80T and ST100T Stackers have been designed for high capacity stockpiling operations. All units come as standard with diesel power units, hydraulic main lift and hydraulic top fold. Electric and dual power are both available as options based on the best application for the customer's business. The tracked stacker line includes a radio controlled track mounted unit for maximum mobility, a setback axle and 22.5 degree maximum conveyor angle allowing for the highest stockpiles per conveyor length in the industry. With their durable frame, large direct feed hopper and base production capacity of 500 TPH with optional upgrades to 800 TPH, these McCloskey conveyors stack up well above the competition.